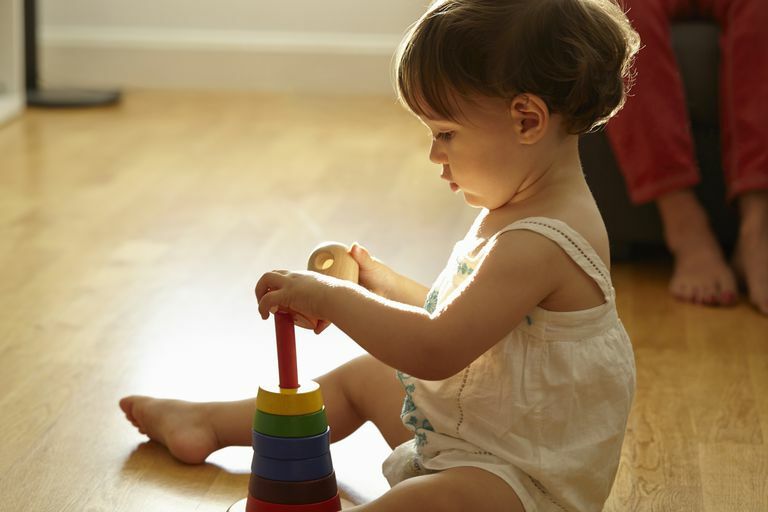 Cognitive milestones represent important steps forward in a child's development. Throughout human history, babies were often thought of as simple, passive beings. Prior to the 20th-century, children were often seen simply as miniature versions of adults. It wasn't until psychologists like Jean Piaget proposed that children actually think differently than adults do and that people began to view childhood and adolescence as a unique period of growth and development. Adults often dismissed the remarkable intellectual skills of infants and very young children, but modern thinkers and researchers have discovered that babies are in fact always learning, thinking, and exploring the world around them. Even newborn infants are actively taking in information and learning new things. In addition to gathering new information about the people and the world around them, babies are also constantly discovering new things about themselves. Looking inside the mind of an infant is no easy task. After all, researchers cannot just ask a baby what he or she is thinking at any given moment. To learn more about the mental processes of infants, researchers have come up with a number of creative tasks that reveal the inner workings of the baby brain. As infants become more physically adept, they are able to explore the world around them in greater depth. Sitting up, crawling, and walking is just a few of the physical milestones that allow babies to gain a greater mental understanding of the world around them. Manipulate objects by turning them over, trying to put one object into another, etc. After reaching a year of age, children's physical, social, and cognitive development seems to grow by leaps and bounds. Children at this age spend a tremendous amount of time observing the actions of adults, so it is important for parents and caregivers to set good examples of behavior. Tell the difference between "Me" and "You"
At two years of age, children are becoming increasingly independent. Since they are now able to better explore the world, a great deal of learning during this stage is the result of their own experiences. Children become increasingly capable of analyzing the world around them in more complex ways. As they observe things, they begin to sort and categorize them into different categories, often referred to as schemas. Since children are becoming much more active in the learning process, they also begin to pose questions about the world around them. "Why?" becomes a very common question around this age. As they near school age, children become better at using words, imitating adult actions, counting and other basic activities that are important for school preparedness. For many parents, encouraging children's intellectual development is a point of major concern. Fortunately, children are eager to learn right from the very beginning. While education will soon become an enormous part of a growing child's life, those earliest years are mostly influenced by close family relationships, particularly those with parents and other caregivers. This means that parents are in a unique position to help shape how their children learn, think, and develop. In the home, parents can encourage their children's intellectual abilities by helping kids make sense of the world around them. When an infant shows interest in an object, parents can help the child touch and explore the item as well as saying what the object is. For example, when a baby looks intently at a toy rattle, the parent might pick up the item and place it in the infant's hand saying "Does Gracie want the rattle?" and then shake the rattle to demonstrate what it does. As kids grow older, parents should continue to encourage their children to actively explore the world. Try to have patience with young children who seem to have an endless array of questions about each and everything around them. Parents can also pose their own questions to help kids become more creative problems solvers. When facing a dilemma, as questions such as "What do you think would happen if we…?" or "What might happen if we….?" By allowing kids to come up with original solutions to problems, parents can help encourage both intellectual development and self-confidence. Centers for Disease Control and Prevention. Developmental Milestones; 2016.